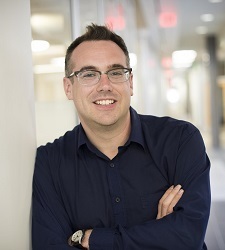 Alex Clark, PhD, is Associate Vice President (Research) at the University of Alberta, and World Economic Forum Young Global Leader. He fulfils leadership roles with a number of national research funding bodies across Canada. He regularly writes on academic career development, growth, and leadership, and has led workshops all over the world for a decade for researchers from all career stages on academic effectiveness, writing, and research skills. He speaks nationally and internationally to young scientists from across disciplines on academic career issues, including skills, teamwork, and mentorship. Alex’s research has been published in some of the world’s most influential journals, including: The Lancet, British Medical Journal, Journal of American College of Cardiology, and Social Science & Medicine.